I had so much fun making this Christmas bauble! 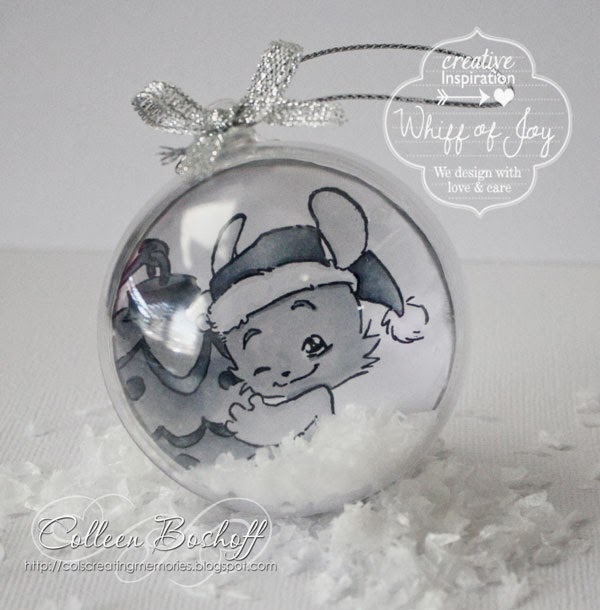 Henry Hugging Christmas Bauble has been coloured with Copics in shades of grey. Popped some artificial snow in the bauble and finished it off with a silver bow and silver twine. Finished the back off with a Christmas sentiment and some artificial snow. I shared this on WOJ's World of Ideas Blog, you can have a look here. Thank you for stopping by and for your lovely comments. 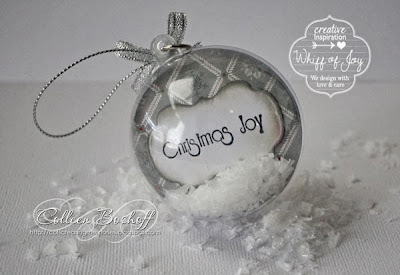 what a sweet christmas decoration, very wonderfull!